TEHRAN (FNA)- Turkish Foreign Minister Mevlut Cavusoglu said on Saturday that Ankara and Iran agreed to work together to resolve the Saudi-invasion of Yemen, and informed that Turkish President Recep Tayyip Erdogan is to visit Riyadh soon to talk with Saudi officials about the agreement with Iran. 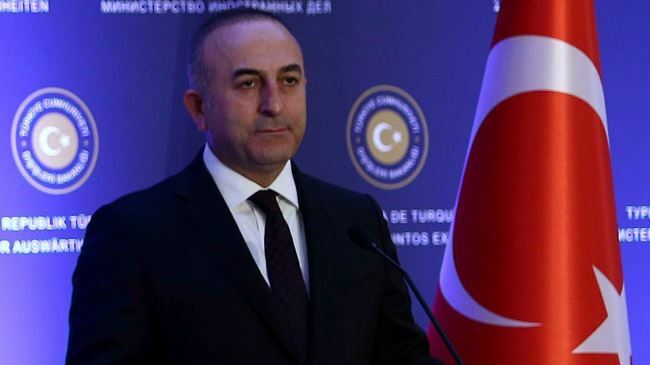 Speaking in a press conference, Cavusoglu said that a four-paragraph agreement was concluded between Iran and his country, adding the first paragraph of the agreement calls for an immediate halt to Saud Arabia and its allies’ airstrikes on Yemen. He further added that President Erdogan, who travelled to Iran on April 7, will depart for the Saudi capital soon to persuade the Riyadh officials for putting the agreement’s details into effect as soon as possible. The Iran-Turkey agreement includes: Immediate halt in attacks on Yemen, dispatching humanitarian aid to the crisis-hit country, starting national dialogue, and paving the ground for the establishment of an all-inclusive government in Yemen. Saudi Arabia has been striking Yemen for 17 days now to restore power to fugitive president Mansour Hadi, a close ally of Riyadh. The Saudi-led aggression has so far killed over 1010 Yemenis, including hundreds of women and children. The attacks have also left more than 2200 people injured.